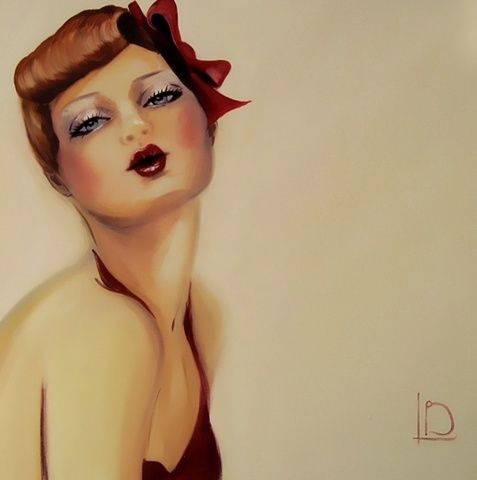 Pucker Up is a portrait of a beautiful red headed woman, with cherry red lips and gorgeous blue eyes. Her curled hair, and matching red hair bow set off her cheeky pin-up look, and the buttermilk colour of the background really compliments her sunkissed skin. This painting reminds me of those saucy seaside postcards, but without the rubbish jokes.